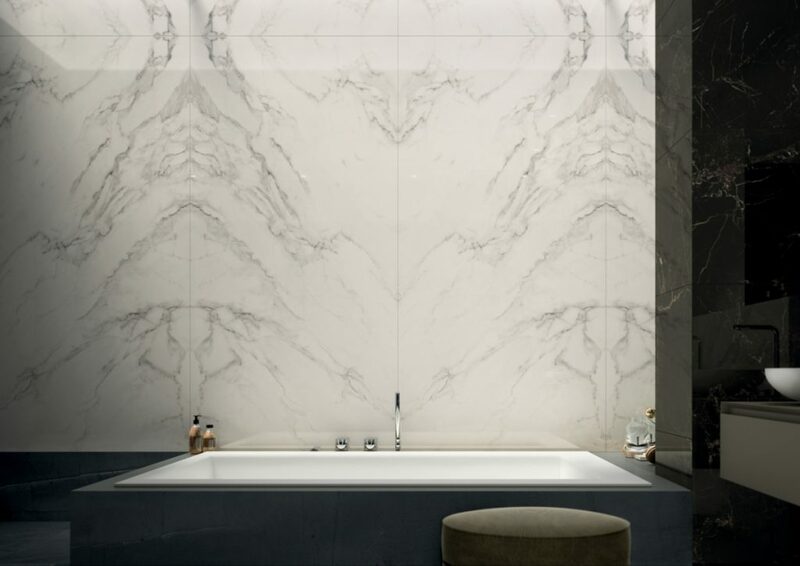 The new 2018 bath trends are increasingly dictated by new technologies, which allow continuous evolution of ceramic materials and production processes. Above all, the ceramic reinterpretation of natural materials offers an ever-expanding and ever-evolving landscape of solutions that give you the opportunity to get in the bathroom furniture, but also in other home environments, the sought-after mood. 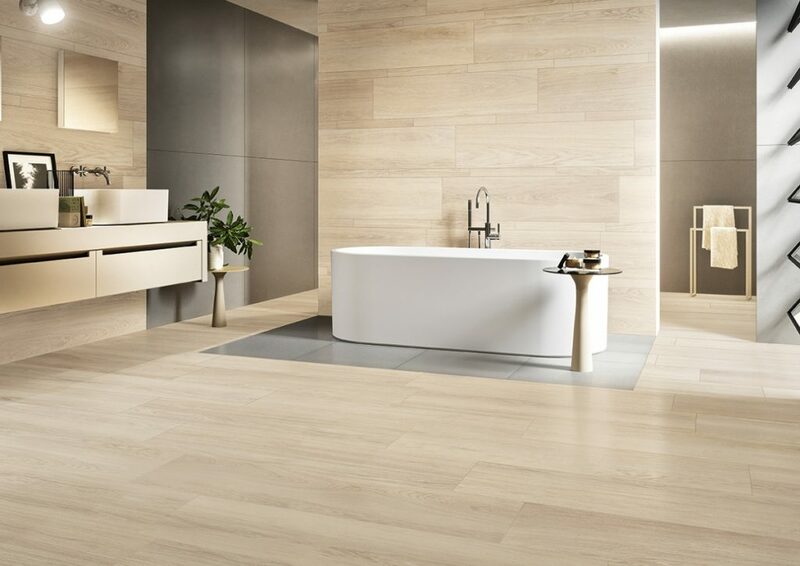 New wood or stone effect tiles not only reproduce graphic textures but also materiality, rebuilding, often at 360 °, the same experience a user could have with natural material. The North collection proposes a raw-looking stone, selected for the naturalness and richness of details, with an explicit reference to the Nordic atmospheres, the result of the company's technological know-how, which has been able to reproduce with great fidelity the aesthetics of natural stone, revisiting it in contemporary key. 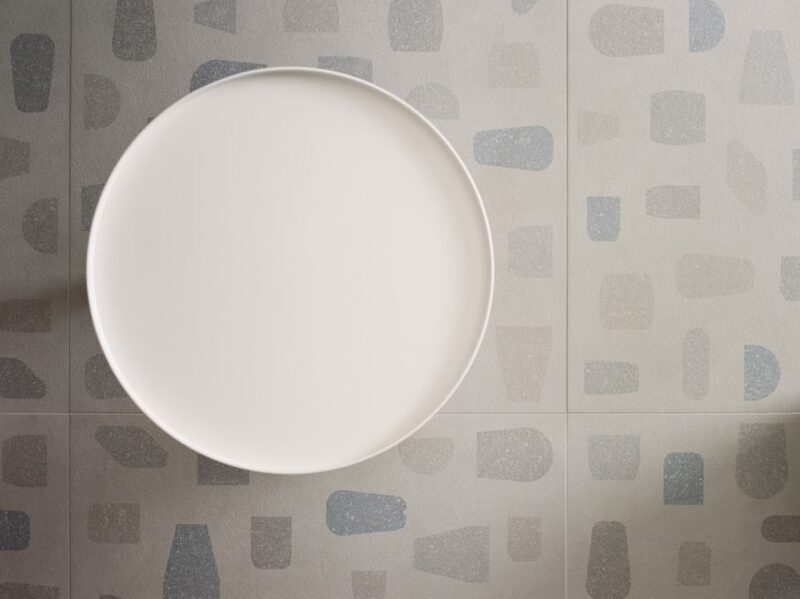 The expressive force of this collection lies in its ability to be "true": natural fossil inclusions and delicate stenciling draw small imperfections on the clean and clean surface, giving life to matter. Soft and neutral shades that highlight the texture details, but also the black and black features of the Night, all four selected colors, from the international character - Artic, Natural, Smoke and Night - and three finishes: Matt, opaque surface and lightly irregular, Satin, slightly reflective, gently irregular and silky to the touch and Out, highly structured, ideal for outdoor use thanks to its technical features of extreme resistance to frost and wear. Roma Diamond di Fap Ceramiche is a collection of ceramic marbles that is dedicated to the timeless charm of polished marble. 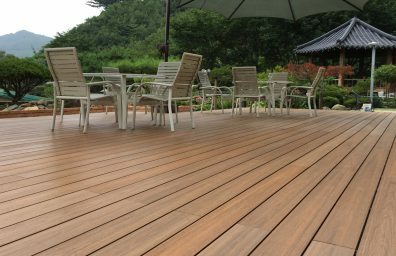 Overall, there are seven types of wood, four of which with a white finish: Carrara, Statuario, Calacatta and Frammenti white, to which are added two intense shades of black, Nero Reale and Frammenti Black, and a crystalline marble, Beige Duna, warm color and delicate veins. 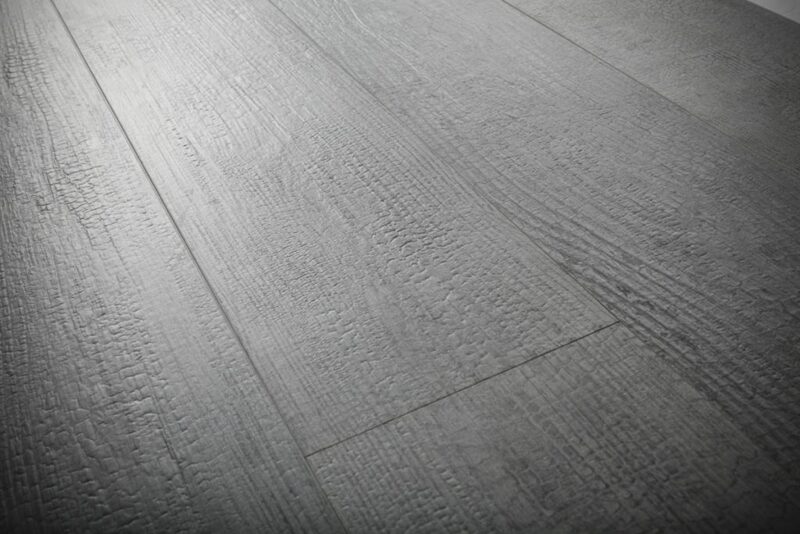 Ceramiche Refin it is inspired by the Yakisugi, an artisan technique that has remained in use in Japan for centuries, which involved the use of fire to carbonize cedar wood, in order to protect and conserve it. 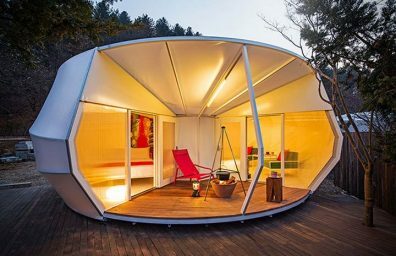 A technique that is coming back in use in architecture at an international level both for the tendency to use more and more natural and eco-sustainable materials and treatments, and because the final effect is very characteristic. With Kasai, "fire" in Japanese, Ceramiche Refin honors the Japanese design culture, expressing on porcelain stoneware the same visual and tactile characteristics of traditional wooden slats burnt in a refined and elegant ceramic collection, perfect for interior projects that want to celebrate the encounter between different cultures and the one between past and innovation. La Fabbrica confirms the tendency of large formats presenting their own collections of plates from 180 × 80 cm in different moods, from Velvet Vintage velvety surfaces to the soft colors of the Resine collection. 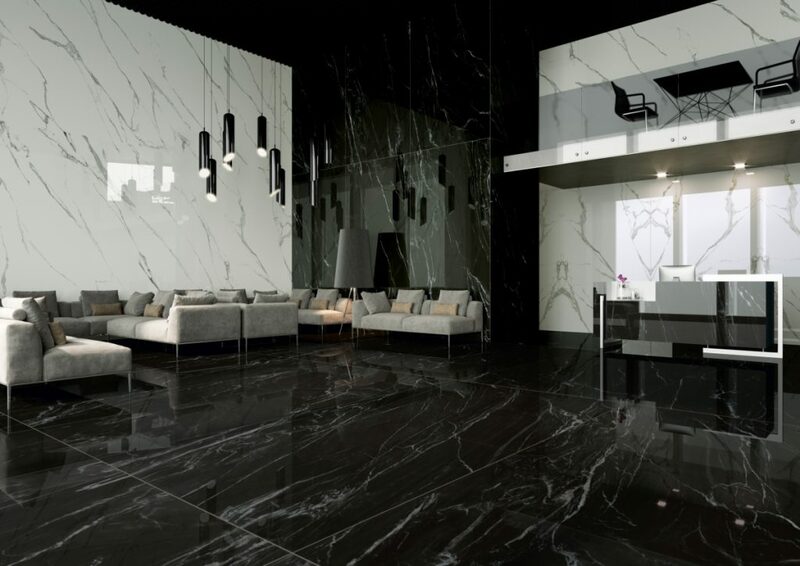 Even greater commitment to the production of huge plates in the case of AVA, also a brand owned by La Fabbrica, which proposes the collection Extraordinary Size, a size of 320 × 160 cm with white and black marble finish. 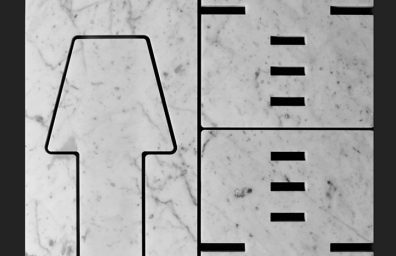 A material also suitable for making tops and tops for kitchens and bathrooms in the innovative thickness of 12 mm. Anima Select and Fabula are the two new interpretations of marbles and precious woods respectively Caesar pottery. 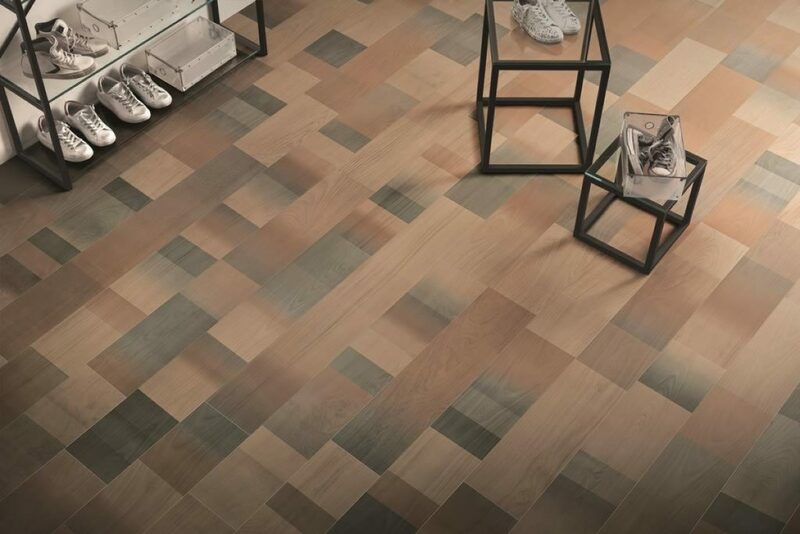 The collection Fabula it is the reproduction of 5 precious wood species, the 30 × 120 and 20 × 120 slat formats, the Chevron 20 × 100 and a strip format 5,7 × 60 adapt to any wood-effect flooring and coating project. 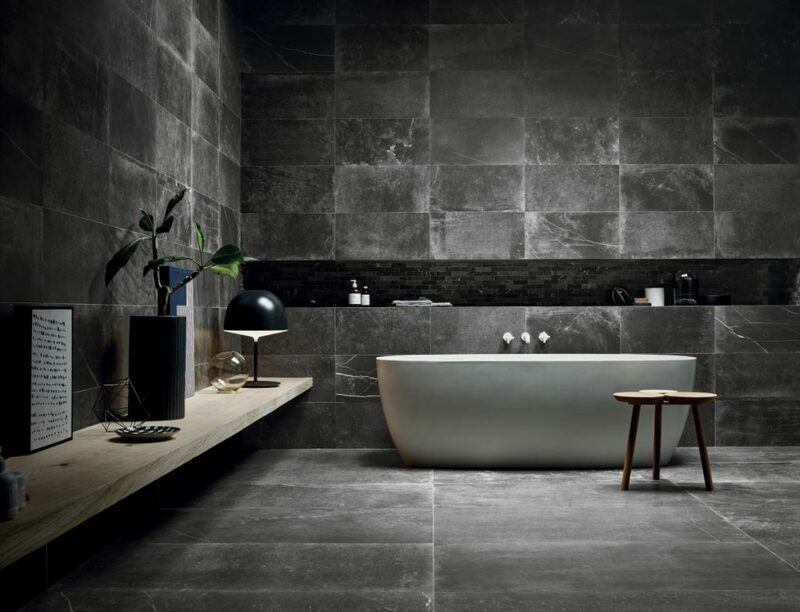 Anima Select is a collection of porcelain stoneware tiles with marble effect, the precious varieties of marble are proposed in 5 formats, ranging from 30 × 60 to large slabs in 119,5 × 239 porcelain stoneware. Three collections that represent as many stylistic themes as they point Ceramic Piemme. Uniquestone is the result of continuous research into digital materials and technologies. 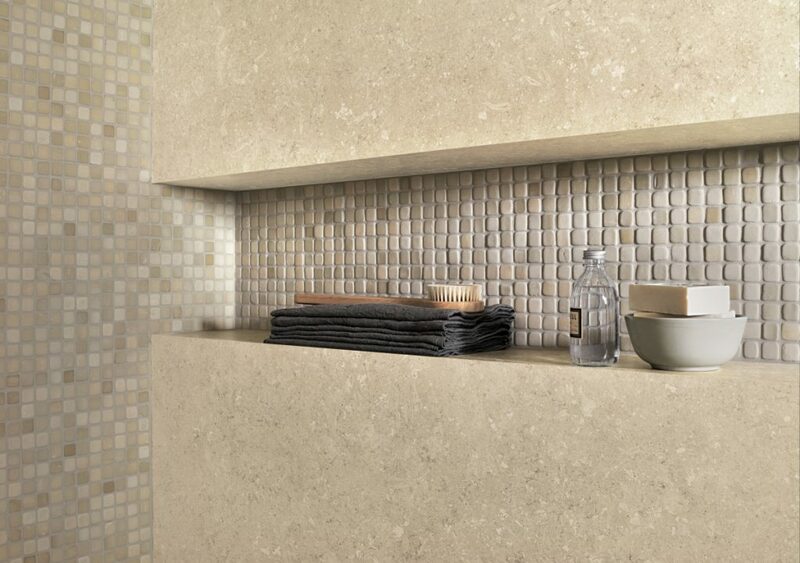 Natural finish, for example, recreates in detail the material effect of the different minerals to which it is inspired, while the sleek version adds elegance and brilliance. 5 the shades of the collection: from the lighter "silk" nuance to the darker "nite". The series also features three 3d versions for wall coatings that reproduce the effect of handmade stone: Level, a large size tile (60X120cm) that distinguishes the 4 materic effects inspired by Uniquestone. summed up in two decorations -Form and Oblong- strongly iconic. 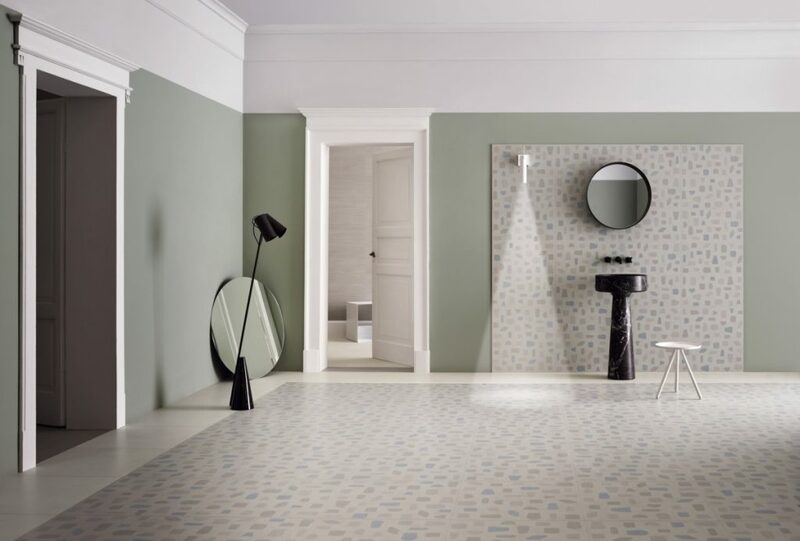 To re-create the elegance of textiles with unpublished textures and textures: it is the wager of the new collection Incipit for Valentino by Ceramiche Piemme. Thanks to particular enamels and the precision of the latest digital decoration, the ceramic surfaces re-create the delicate flax effect, the arabesque thirst, and even the metal mesh of contemporary fabrics. Innovative the use of ceramic in thermo-furnishings made by Hom, a brand that has been offering for some years now heating accessories which have underpinned a technology consisting of a particular sintered tile which has the property of maintaining heat for a long time and giving it slowly. This patented technology (property Rotfil, European leader in the production of electric heaters) is the most advanced system in the field of electric heating with low consumption (1 time of ignition consumes 0,1 kw / h which corresponds to about 0,02 € - for heating complements) and was born after three years of research carried out by the designer and the company in collaboration with the Polytechnic of Turin. 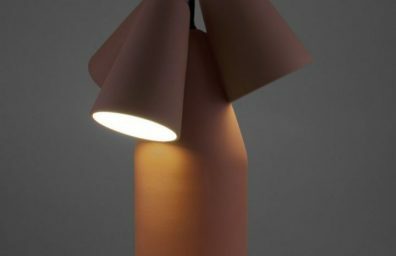 The new collection's heating complements are made of antique materials such as ceramic or natural and resistant like Lebanon's cedar wood, equipped with technology HOM low energy consumption, thanks to which they become heating accessories for clothing, wipes, food, enveloping seats or real electric radiators. Sumo outdoor collection: a style fight. Gattoni Rubinetteria. Elegance and versatility. With the 34 Line the sink is "black" or "white". 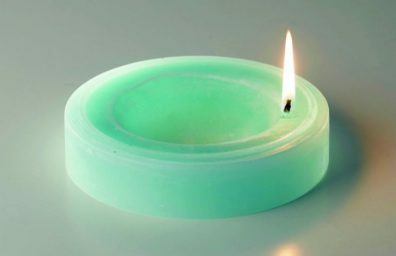 Die Feinsteinzeugplatten gefallen mir und besonders gut, sehen echt edel aus!